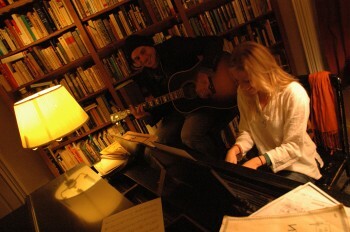 Live In-Studio Recording/Concert at EvoRad! 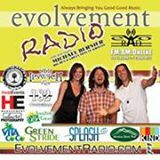 Friday, August 19: Join Marina & Bernardo for an intimate acoustic experience at the Evolvement Radio studios in Newburyport, MA! We will be play an all-original concert that’s going to be recorded LIVE — and we’d love for you to be a part of it! Included with your donation at the door is delicious local beer by Cape Ann Brewing, snacks from KIND Healthy Snacks, a free download of the concert recording, and more. This promises to be a truly unique concert experience – and space is limited (only 20 seats! ), so click here to reserve your seat today! It’s that time of year again – when I fly across the Atlantic from Italy to Cape Ann, Massachusetts, only to hit the ground running (& singing!) for a summer tour across New England. And I couldn’t be more excited! This summer, it’s quite the mix: solo acoustic shows, concerts in duo with my musical partner & killer slide guitarist Bernardo Baglioni, and performances fronting the incredible Compaq Big Band. Everything from house concerts (in living rooms, recording studios, and one on the stunning shores of Lake Winnipesaukee!) to museums, from the decks of one of Gloucester’s historic schooners to the hallowed halls of aged New England churches — there’s a concert for everyone. Click here to see the full calendar! I’m also looking forward to a benefit concert for the Schooner Adventure, “the last of the Gloucestermen,” a historic ship that is a living testament to our rich maritime history (August 12). I’ll be performing in acoustic duo with Bernardo aboard the ship as she’s docked in her beautiful home port of Gloucester, MA. Come join us for a sunset concert beneath the spars! More concerts are being added all the time, so stay tuned — click here to view the full concert calendar, or follow me on Facebook or Instagram for up-to-the-minute news. Many thanks all — looking forward to seeing you (and singing to you!) along the road! Green Mountain Bound: Vermont Shows! Next weekend, Marina & Bernardo head up north to the beautiful green mountains of Vermont for two shows! The first is the Vermont Music Fest on August 8, held on the rolling farmland of Lareau Farm in Waitsfield, VT. 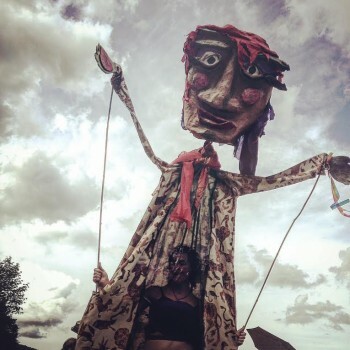 Featuring original acts from across New England on two stages, as well as games, art, and locally-sourced food and drink, this festival promises to be a full day of fun for the whole family. Click here to visit their website and learn more. 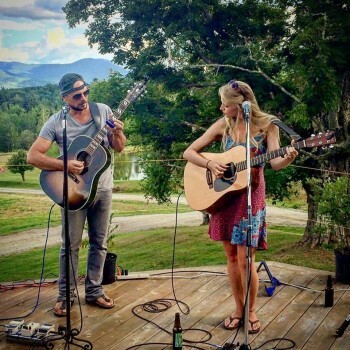 Next up is an intimate house concert in nearby Morrisville, just outside of Stowe, VT, on August 9. “Weather permitting, we’ll play outside on the hillside, surrounded by those rolling hills,” Marina says. “We’re excited to go from a festival stage to the intimacy of a house concert the next day, and hope you’ll join us!” If you’re in the area and would like to join in the fun, send Marina an email for more details. Songs for Nepal: Online Benefit Concert LIVE from Italy! On Thursday, May 14 at 6pm EST, Marina will be performing LIVE from Italy in duo with Bernardo Baglioni in an online stream through the website Concert Window. All you need is an internet connection to join them in their living room in Florence, Italy for this intimate concert! You can interact with Marina & Berna live during the show… and you will be among the first to hear some new songs! Click here to stream the concert live on Concert Window! Click here to stream the show LIVE on Concert Window! Saturday, November 8: Marina and Bernardo will be performing in acoustic duo in support of the incredible Hillary Reynolds Band at All Souls Parish Hall, hosted by Braintree Folk! Needless to say, Marina and Bernardo are thrilled to support such talent — don’t miss this incredible show of original music! 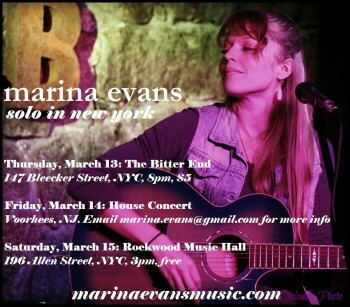 I am so excited to be heading down to New York this weekend to play a few acoustic shows! I’ll be hitting my favorite spot to play in New York, the world-famous Bitter End on Thursday, 3/13 at 8pm ($5); then on Friday, 3/14 I play a private house concert in NJ (email me for details! ); and everything wraps up on Saturday, 3/15 with a 3pm set on Stage 1 at the Rockwood Music Hall. This is a new venue for me, and I am psyched to check out this renowned listening space. Hope to see many old and new faces!